The first time I saw Sheryl Sandberg was a few years ago on CNN. It was around 2 pm on a random Saturday afternoon. I remember sitting up, intrigued by her enthusiastic voice and her bubbly face. There was something about her. Something about her vulnerable demeanor and raspy voice that made it look like she was talking to me or people like me. “What do you tell people who might think that you are too privileged to understand the struggles of ordinary women?” The CNN anchor asked her. I don’t remember how Sheryl responded but I remember feeling that that was an unfair question. Why shouldn’t she be able to share the advice that has helped her earn a billion dollars with other women? I remember thinking quietly. “Lean in” became my mantra. Whenever things weren’t working out, I would remind myself to just lean in. She made it OK to struggle with self-doubt and still raise our hands. I chuckled when I heard her talk of going for a meeting and discovering the lice on her daughter’s head. These were ordinary struggles of many women and I was so proud of her for speaking up. For letting the world know of the challenges women go through while raising a family and trying to earn a living. I nodded when she talked of how most of us resent and judge ambitious women while cheering men for the same. And it didn’t matter to me that she probably had hordes of servants picking up after her. It didn’t matter that she most definitely had private jets at her disposal. She was speaking up for women, and in a world so hostile to women's causes, I could never cheer her up enough. I felt terrible about her husband’s tragic death. I admired her even more when she bounced back. Her courage to share her experiences and her resolution to continue living her life blew my mind. But now I don't know what to think. A couple of weeks ago, word got out that Facebook had hired a right wing propaganda machine to discredit and smear George Soros. 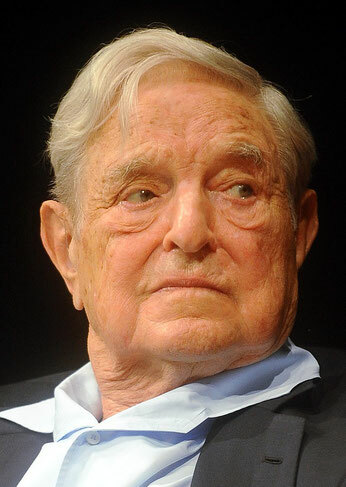 George Soros isn’t just anyone. He is the global punching bag for all kinds of hateful groups. He is the one person murderous African tyrants, Islamists, white supremacists, Neo-Nazis and all kinds of insufferable groups seem to hate in equal measure. They accuse him of using his vast wealth to fund democratic causes, help vulnerable groups like refugees and generally try to make the world a tiny bit fairer. So how could she? 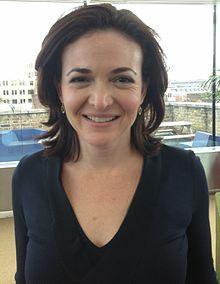 How could Sheryl Sandberg of all the people join the dark side? How could she use the same tactics used by people whose agenda is to turn the world into a hellhole? I know that she is only human. I know that sometimes decisions have to be made. But despite this, I feel terribly disappointed.